The game is based on the Mr. Robot television series, which follows the fsociety, a group of hackers on a quest to destroy E Corp, the largest conglomerate in the world. Telltale Games, in association with NBCUniversal Brand Development, launched Mr. Robot: 1.51exfiltratiOn on iOS and Android. Developed by Night School Studio in collaboration with Universal Cable Productions, the game is based on the Mr. Robot television series, which follows the fsociety, a group of hackers on a quest to destroy E Corp, the largest conglomerate in the world. Mr. Robot: 1.51exfiltratiOn is played through the interface of the fictional E Corp Messaging application. The game progresses in real-time, as players receive and respond to messages from companies and characters over the course of a real-world week. When responding to messages, users can select from multiple template responses, which can impact conversations. Night School Studio is one of the most promising small developers in the industry, and seeing Telltale alumnus and writer Adam Hines writing alongside the team at UCP and USA on an interactive story with our partners at NBCUniversal makes us proud to present this to Mr. Robot and Telltale fans everywhere. There’s a distinct Telltale style to all of the character interactions that our fans will find familiar, and fans of the show will be engrossed all through the night as they race to help fsociety pull off the unthinkable. Mr. 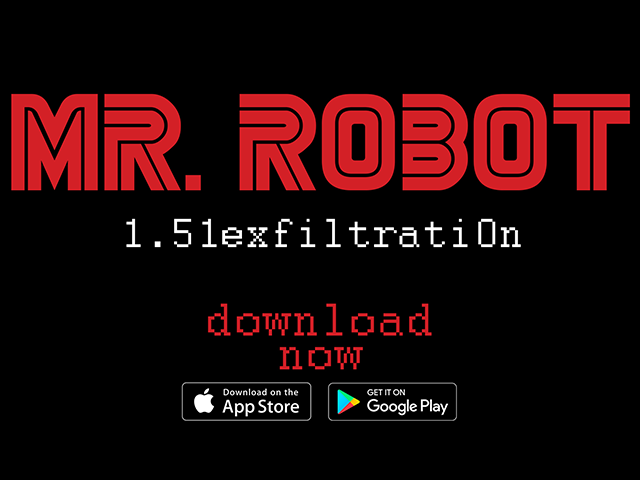 Robot: 1.51exfiltratiOn is available to download for $2.99 on the iTunes App Store and Google Play.